Target player reveals his or her hand. 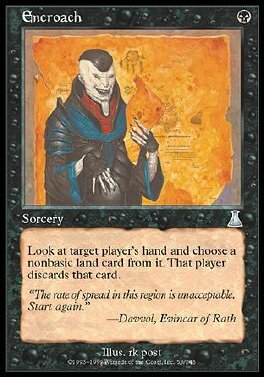 Choose a nonbasic land card from it. That player discards that card.